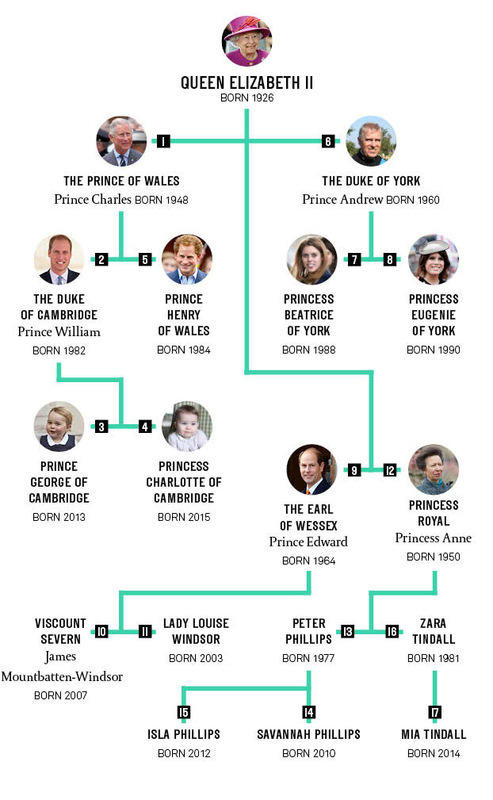 Determining the order of succession to the British throne is a matter of marriage, birth and religion. Marriage is important, because children born "illegitimately" don't count (up until 2013, marrying a Roman Catholic was also grounds for disqualification). Birth is important, because it's all about being first (gender stopped being important in 2013 when male-preference primogeniture was dropped, though this was only applied to births after 2011). And religion is important, because while you can now marry a Roman Catholic, you definitely can't be one. So, below is the family tree and order of succession of some legitimate Anglicans who totally make the cut.